Participants using antidepressants and having a high Center for Epidemiologic Studies Depression Scale score were found to have the highest risk for atrial fibrillation. People with AF have a diffuse and chaotic pattern of atrial electrical activity that suppresses or replaces the normal sinus mechanism and causes mechanical function to deteriorate, leading to a significantly increased risk for morbidity and mortality.7 While treatment of depression has been shown to reduce the risk for some cardiovascular disorders and improve overall outcomes, antidepressant drugs are known to affect cardiac conduction, adding to the challenge of improving outcomes in patients with depression and AF. Psychiatry Advisor: What are the risks surrounding major depressive disorder and AF? ● activating the renin-angiotensin-aldosterone system. Taken together, these changes may induce AF susceptibility, either directly by disrupting the electrophysiologic properties of the atria, or indirectly by promoting atrial fibrosis, increasing atrial pressure, and/or stretching the atria. MESA participants were aged 45 to 84 years, had no known cardiovascular disease, self-identified with 1 of 4 different ethnicities (ie, non-Hispanic white, black, Hispanic, and Chinese), and were followed up for 13 years. Depressive symptoms were assessed at baseline and participants were considered to have depression if they had a score of ≥16 on the 20‐item Center for Epidemiologic Studies Depression Scale (CES-D) or used antidepressant medications, the latter of which served as a proxy for a previous diagnosis of depression. We found that individuals with a CES-D score ≥16 had a 34% higher risk for developing AF compared with those with a CES-D <2. Similarly, participants reporting antidepressant use had a 36% higher risk for developing AF compared with those not taking antidepressants. What is the safety and efficacy of current treatment for major depressive disorder in relation to AF? Dr. Garg: This is a good question that has yet to be answered. Our research only focused on whether the presence of depression might increase the risk for AF; however, if our findings are confirmed in future studies, particularly those with formal assessment of clinical depression, then the next most important step will be to conduct studies assessing whether treating depression may lower the risk for AF. What are the implications of your study? Dr. Garg: I think the literature regarding depression risk following AF is well-documented and my research is really focused on the relatively less explored relationship of whether depression raises the risk for developing AF, so I’m going to speak to that aspect of the pathway. We know that AF is the most common arrhythmia in the United States, affecting an estimated 2.7 to 6.1 million people.10 It accounts for nearly 15% of all strokes and annual costs for treatment exceed $6 billion.10 We also know that as many as 20% of adults report having depressive symptoms in epidemiological studies.11 Therefore, the potential impact of our findings is big. A large portion of the US population is potentially at increased risk for developing AF and may benefit from more targeted efforts to prevent AF. Dr. Garg: Following our publication, a European study reported a similar correlation between AF and depression but really focused on the association with antidepressant use.6 In the study, antidepressant treatment was associated with a three-fold higher risk for AF during the first month, with risk gradually attenuated over the following year. Most notably, the risk for developing AF was highest in the month before starting antidepressants. Further studies are needed in larger cohorts that are appropriately powered to detect significant interactions and with more comprehensive and clinically validated assessments of depression. Additionally, once a diagnosis of depression is established, a better understanding of how antidepressant medication or other therapeutic interventions might then modify the risk for subsequent AF is also needed. Any concluding thoughts on how psychiatrists and physicians can improve the care of at-risk patients? Dr. Garg: For now, I think the main thing to emphasize to physicians and patients is that depression may be a risk factor for AF. For psychiatrists, this means appreciating the brain–heart connection. It’s possible that treatment of depression may have benefits beyond improving mental health and include cardiovascular health as well. It also means that if they have a patient with depression who has other risk factors for AF, such as old age, hypertension, obesity, or diabetes, they should encourage the patient be screened for AF by their primary care physician, provided the patient has not done so already. For primary care physicians, this study should provide even more motivation to screen their patients for depression and make sure that those who screen positive are treated appropriately. 1. Moise N, Khodneva Y, Richman J, et al. Elucidating the association between depressive symptoms, coronary heart disease, and stroke in black and white adults: the REasons for Geographic And Racial Differences in Stroke (REGARDS) study. J Am Heart Assoc. 2016;5(8). 2. Holt RI, de Groot M, Golden SH. Diabetes and depression. Curr Diab Rep. 2014;14(6):491. 3. Rubio-Guerra AF, Rodriguez-Lopez L, Vargas-Ayala G, et al. Depression increases the risk for uncontrolled hypertension. Exp Clin Cardiol. 2013;18(1):10-12. 4. Khawaja IS, Westermeyer JJ, Gajwani P, Feinstein RE. Depression and coronary artery disease: the association, mechanisms, and therapeutic implications. Psychiatry (Edgmont). 2009;6(1):38-51. 5. Garg PK, O’Neal WT, Diez-Roux AV, et al. Negative affect and risk of atrial fibrillation: MESA. J Am Heart Assoc. 2019;8(1):e010603. 6. Fenger-Grøn M, Vestergaard M, Pedersen HS, et al. Depression, antidepressants, and the risk of non-valvular atrial fibrillation: a nationwide Danish matched cohort study. Eur J Prev Cardiol. 2019;26(2):187-195. 7. 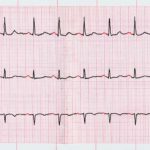 Zimetbaum P. In the Clinic: Atrial Fibrillation. https://www.acponline.org/acp_news/misc/video/atriall_fib.pdf. Published 2010. Accessed February 22, 2019. 8. Pacher P, Kecskemeti V. Cardiovascular side effects of new antidepressants and antipsychotics: new drugs, old concerns? Curr Pharm Des. 2004;10:2463– 2475. 9. Castro VM, Murphy SN, Fava M, et al. QT interval and antidepressant use: a cross sectional study of electronic health records. BMJ. 2013;346:f288. 10. Centers for Disease Control and Prevention. Atrial fibrillation fact sheet. Reviewed August 22, 2017. Accessed February 21, 2019. 11. Shim RS, Baltrus P, Ye J, Rust G. Prevalence, treatment, and control of depressive symptoms in the United States: results from the National Health and Nutrition Examination Survey (NHANES), 2005–2008. J Am Board Fam Med. 2011;24:33-38. Close more info about Depression, Antidepressants, and Atrial Fibrillation: What Do We Know?